ALl skills working, all ability skills and hidden ability skills working. We tested for 1 year all game mechanics, classes and balance. There will be no wipes whatsoever neither. Free Epics for new players also. -> LUC mechanics working off like You'll be able to dodge lethal blows when LUC is activated. Basically, you have a chance to evade killing blows of any damage inflicted in PvP/PvE. Not related to "Lethal Blow" type attacks. -> Added Revelation skill mechanic with hidden skill. This is the only Private Server with GOD Ertheia game mechanics. What are you waiting for? quit wasteing your time and Start Playing on the ONLY Private Server worth playing: www.Lineage2Nosgoth.com ! Last edited by pulamea; 08-22-2015, 06:52 PM. "The battle to the death"
"The battle to the death (company officer)"
x20 mid rate biggest clans EU/RU will join . Double post , cause of lag. Mods : Delete this post please. http://lineage-realm.net coming 16.10.2015 massive project from l2 world old team. 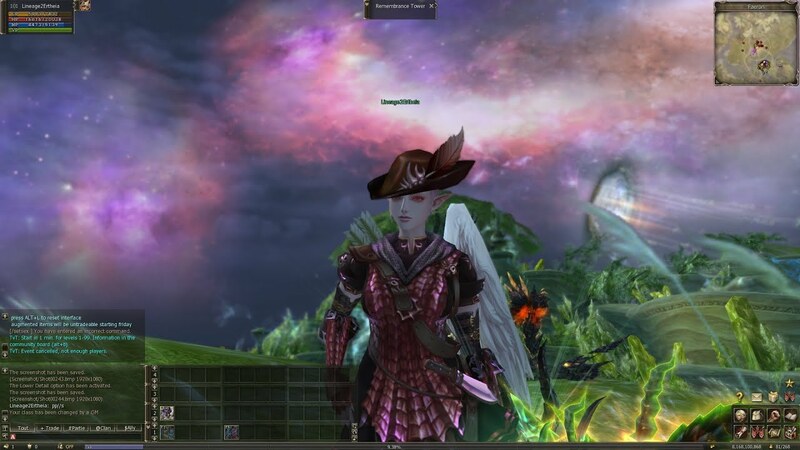 Hello and welcome to Lineage 2 Dasparion! A unique pvp server like no other! Join us and we asure you that you are going to have a unique experience! Make sure you also join our forum for updates,news and tons of events! Our official website is currently under development we are going to inform you soon when its online. You will be able to see our servers features and also access our community forums! Hello and welcome to our server! Below you can check the information you need to know about our Interlude server "Cypress". *Safe +4 | Max +20. *Clan Reputation Manager and Clan Reputation Item. *Buffs: Up to 60 slots. *Pick your C grade starting items. *Special Farm Coins, GB, PvP C*, Pk C* and Event Trophy. *Clan Reputation Special Item +2500. *GM Custom Event with great rewards. *PvP Farm and Color system. *Pk Farm and Color system. *Try your best to win the raid and the zone. *Olympiad Time Start: 14:00 gmt+1. *Olympiad Regist End: 22:50 gmt+1. *Olympiad Time End: 00:00 gmt+1. 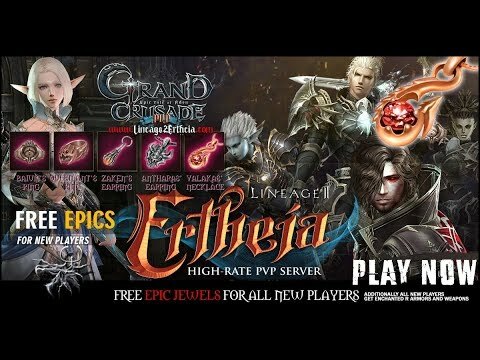 www.lineage2ertheia.com infinite odyssey i play it now, super awesome, true l2 server and u get 2 weeks of full epics and full gear also, so no sweat. they added also helios update gear to the game from korea, wich is great rly. L2Rome.com 100x pvp no craft all items on shop. » All items on GM Shop, boss jewels and noblesse too. » Perfect class balance (oly too). » Working all castle sieges. » Stackable scrolls, lifestones, book of giants. » Full npc buffer with auto buff. » Max count of buffs - 60. » Max subclasses - 30 (All classes). » Free and no quest class change. » Free and no quest sub class. » PvP Reward System (PvP areas). » Server up-time [24/7] %. » No custom items ! - Rates: Exp: 20x - Adena: 15x - Drop: 10x - Spoil: 10x - Quest: 10x. - Slots de Buffs: 24 + 4 (Divine Inspiration's). - Blacksmith and Merchant Giran Center. - Raid Boss – Epics: Retail. - Npc Buffer 1 hour. - Enchante Rate: 50% Normal (weapons/armors).